Our client Mrs McMahon called us and asked if we could visit and carry out a free roof survey as she was feeling the roof had been neglected for a long time and wanted a company that she could trust to give her an honest explanation of what was required to give her peace of mind that she wasn’t going to get any leaks or damage. On our first visit to the property we had an in depth chat with Mrs McMahon about the history of the roof and previous works that had been carried out to gain an understanding of what ‘peace of mind’ in the future would mean to her. 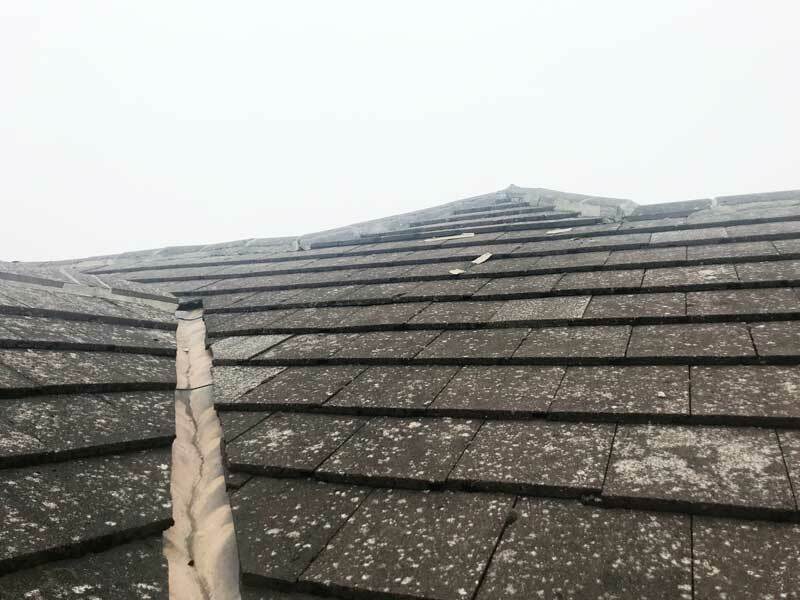 We then carried out a thorough roof inspection checking inside the attic space to ensure it met with current regulations for ventilation, if any leaks were present and if there were any warning signs of damage. 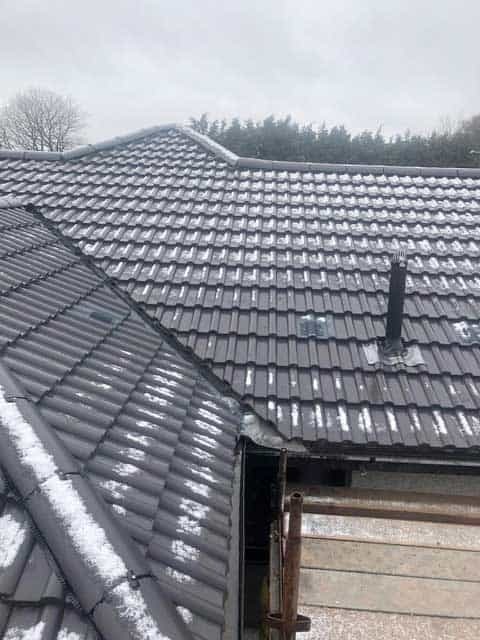 We also thoroughly checked the outside of the roof, looking at valley linings, cement work to ridge, hip and verge tiles as well as checking the tiles for porosity levels due to the roof being 40+ years old it is likely the tiles protective coating would have become compromised after years of weathering. 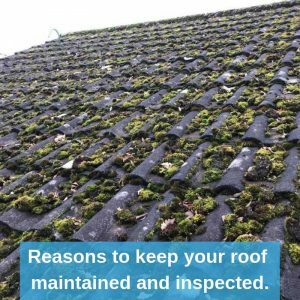 *DID YOU KNOW: Our free roof surveys come with a photographic report so that our clients can see visually any damage that is present. 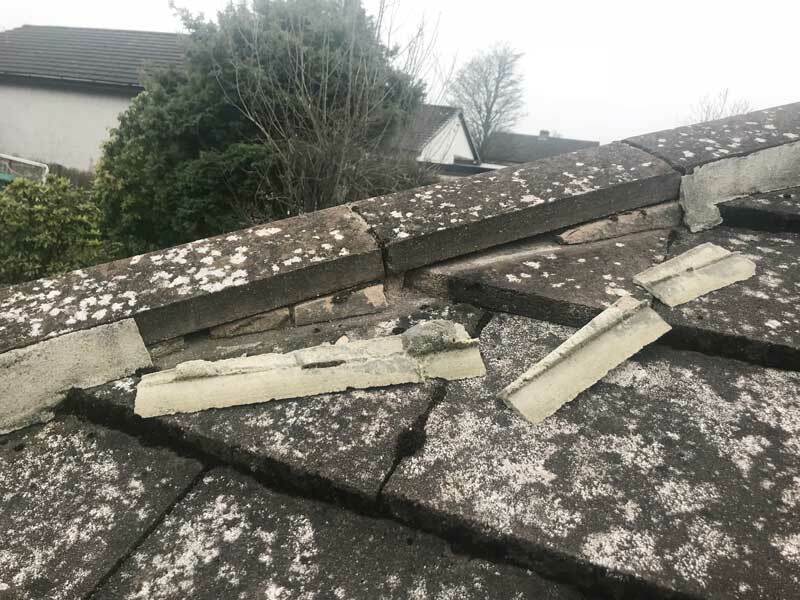 Our photographic survey showed extensive cracked redundant mortar and debris due to previous botched repairs to the roofs ridge and hip tiles. There was also a dry verge system fitted but it had been carried out incorrectly. The tiles had become porous and were allowing water to sponge and seep through causing the underlay and timber below to rot. 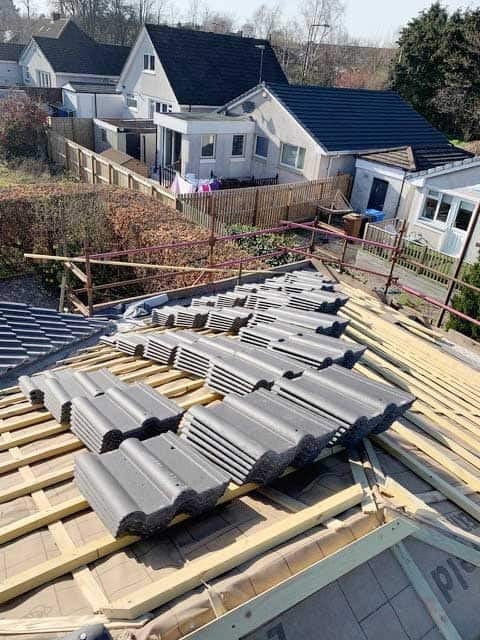 Finally we found that there were no adequate ventilation measures in place and after new double glazing windows and extra loft insulation were installed, the roof wasn’t able to release the extra heat that was rising to the attic space. Stripped off all roof coverings back to the trusses. Re-boarded the roof with 9mm osb ply boards. Covered the full roof with breathable membrane underlay. Installed treated counter and tile battens to the correct gauge for the new concrete, interlocking tiles. Installed inline tile vents to ensure adequate airflow was able to clear the attic from any excess moisture. Finished the roof with all new vented dry ridge, dry hp and dry verge units to the gable ends to provide a wind and watertight, ventilated maintenance free solution. We provided all scaffolding, skips and materials and ensured the site was thoroughly tidied every day. 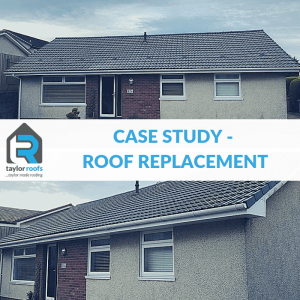 This roof was replaced in 5 working days and was kept watertight at all times. 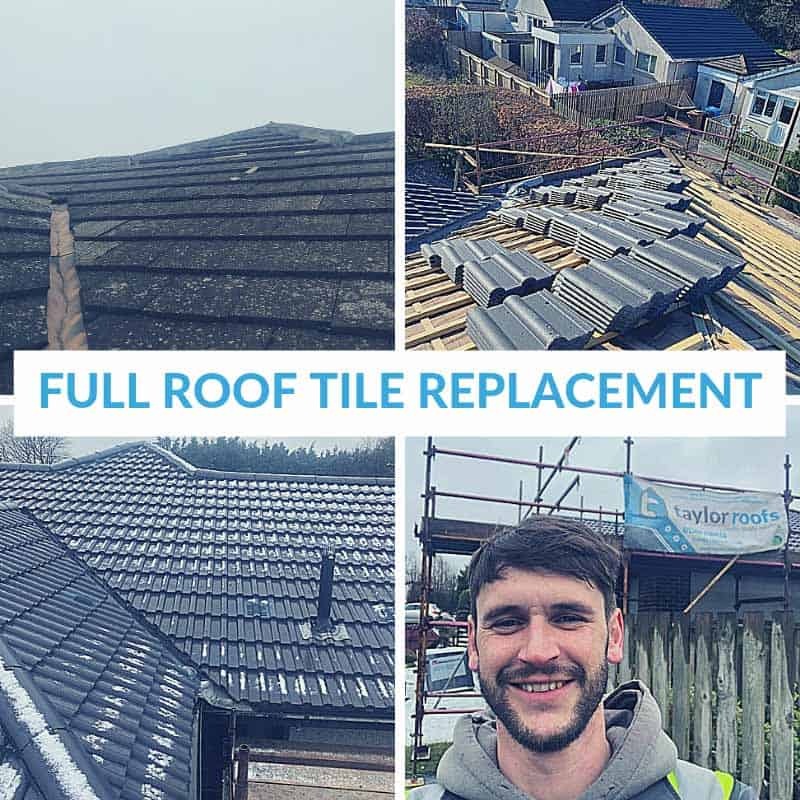 We now have a client who has total peace of mind with their brand new roof which comes with a 10 year certificate of guarantee. 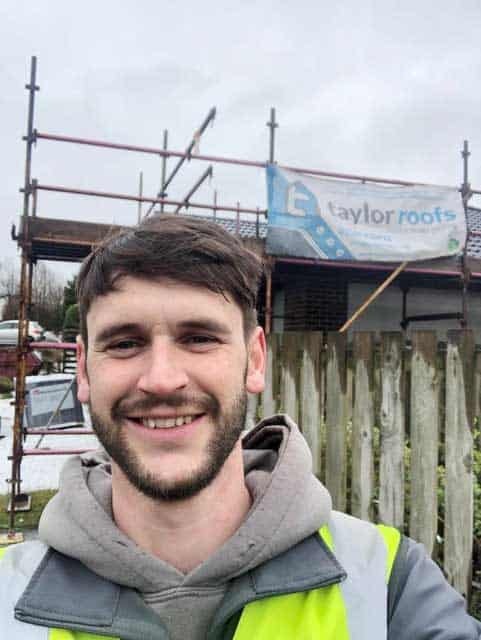 Mrs McMahon has also taken our Bronze Taylor Made Roof Care Plan just to have the peace of mind that we will clean the guttering annually and give the roof a quick check over whilst there. This gives Mrs McMahon the confidence that we will be around for years to come and that once her project was done we will still keep regular contact. 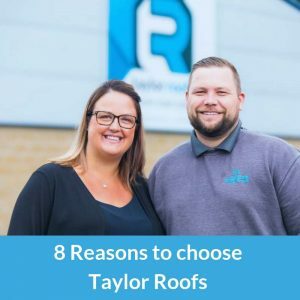 Taylor Roofs are confident to offer 100% satisfaction every time. 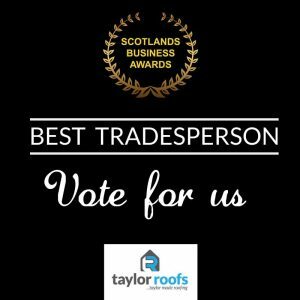 We have 200+ client testimonials on Google, Facebook and accredited consumer sites such as West Lothian council trusted trader & Edinburgh trusted traders. You can read the team’s My-builder reviews, here. 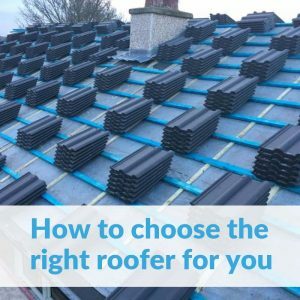 When you own a house, you need to think about the roof’s condition to ensure the safety of your family.